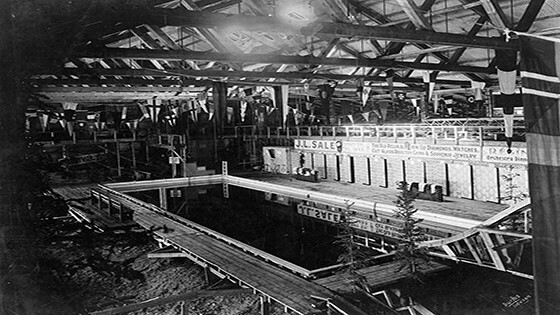 A cinematic alchemist who evokes the ghostly essence of a lost era, filmmaker Bill Morrison unearths a motherlode in “Dawson City: Frozen Time.” The film pieces together the bizarre true history of a collection of some 500 films dating from the 1910s to the 1920s, which were forgotten for over 50 years until being discovered buried in a sub-arctic swimming pool deep in the Yukon Territory, in Dawson City, located about 350 miles south of the Arctic Circle. Protected by the permafrost, these rare silent films and newsreels, archival footage, interviews and historical photographs tell the story, accompanied by an enigmatic score by Sigur Rós collaborator and composer Alex Somers (“Captain Fantastic”). The film relates the unique history of a Canadian gold rush town by chronicling the life cycle of a singular film collection through its exile, burial, rediscovery, and salvation – and through that collection, how a First Nation hunting camp was transformed and displaced.